99% Invisible is starting the year off with the sixth installment of our staff mini stories. Kicking off 2019 are a set of tales about a perpetual lie about New York City, karaoke, a 50-foot-tall burning puppet, the result of a Canada-U.S. border dispute, and time thieves. 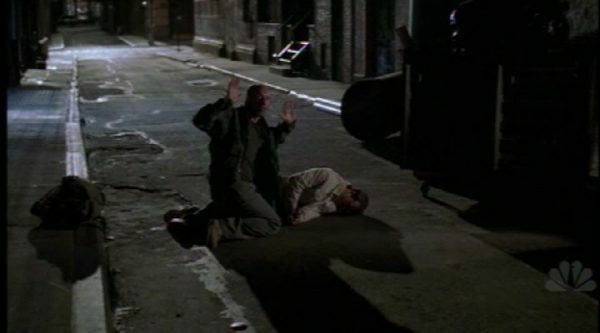 If you’ve ever watched an episode of Law and Order or NYPD Blue (or really any criminal procedural TV show or film set in New York City), the odds are good that you’ve seen at least one scene that takes place in a seedy back alley. 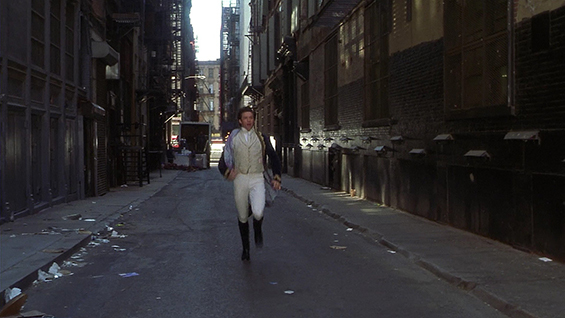 Regardless of what’s happening in the film or the television show, all of these alley scenes help sell audiences on the same idea: that New York City is a city of 10,000 alleys, each with its own secret history. 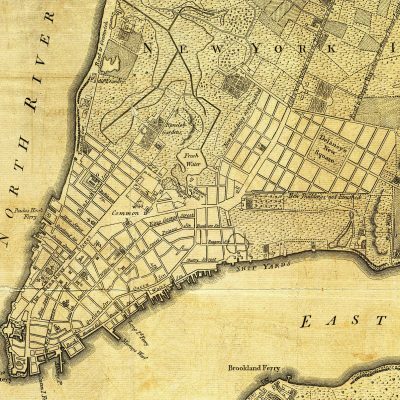 There’s just one problem: there are almost no alleys in New York City. 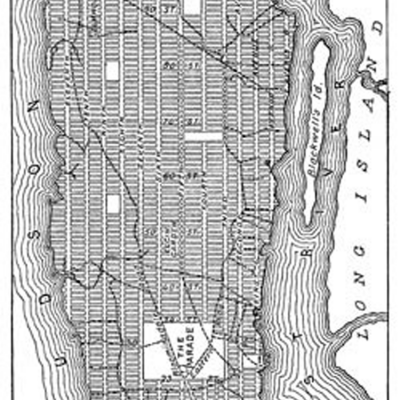 The “Commissioners Plan of 1811” laid out Manhattan’s grid above Houston street and left out alleys by design. The city planners thought the high frequency of the east-west streets obviated the need for shortcuts or anything else that might break up all the otherwise identical city blocks. The underlying motivation of the planners, however, was to maximize real estate. The commission had the power to force the existing landowners to sell it any land it needed in order build the streets. About 40% of the existing buildings had to be destroyed to make way for the grid. To compensate for the loss of land, the commission did not place any alleys on the land that remained — today’s city blocks — so that the landowners could provide, and profit from, more housing and commercial units. As a result, Manhattan has at best half a dozen things one might call alleys. They’re all south of Canal Street, which is the oldest section of the city and was built out before the grid. 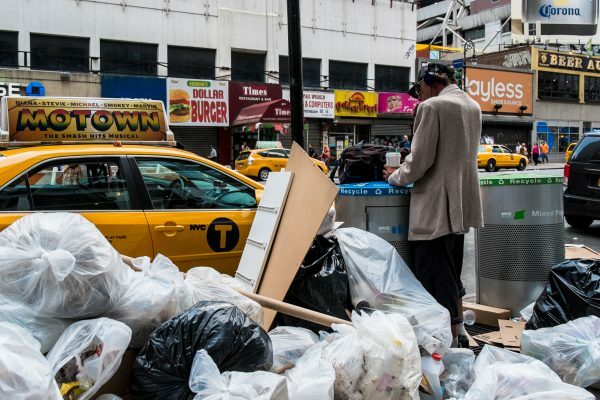 This is why when you walk down New York today, there are tons of trash bags lining the streets. People don’t have alleys to put them in. Of the few remaining alleys in New York City, most of them either don’t allow filming, or are prohibitively expensive to use. This leaves only one just off Broadway that almost everyone films in: Cortlandt Alley. You have seen Cortlandt Alley in movies and films. In fact, you’ve seen it so many times that on some level you might believe that most alleys look like this. But no, it’s just this one place — standing in for all of New York, and getting it wrong. 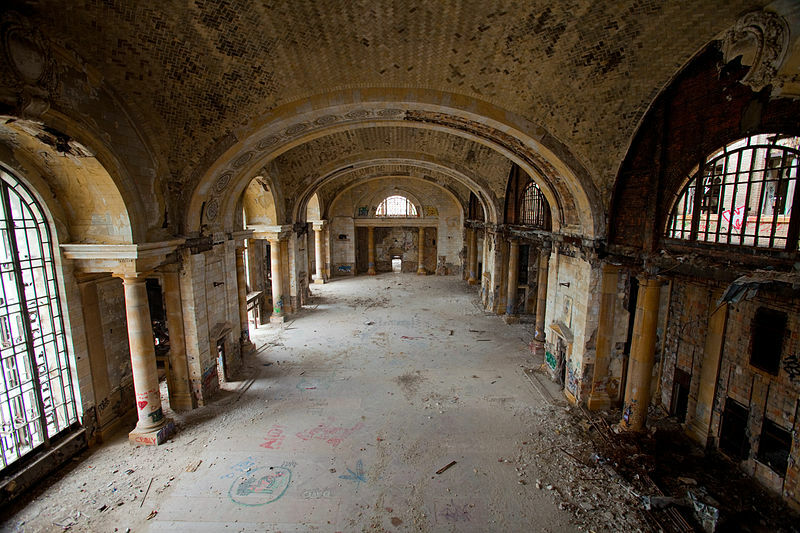 “But if you were to tell a director that that there are no alleys in New York they’ll look at you like you have two heads and think that you don’t know how to do your job,” says New York location scout, Nick Carr. The New York alley is a self-perpetuating fiction. Filmmakers grew up seeing New York alleys on television and in movie theaters, so when it’s their turn to make a film, they insist on alley scenes. Location scouts craving authenticity have tried to fight back but to no avail. The alley is just too iconic and too useful as a story device. It’s immortal. The idea is so powerful that even many New Yorkers think their city has alleys. But, really, they’ve only seen them in the movies. I remember walking narrow streets from my way to Tribeca to Chinatown.. Thought and still it is an alley. Now a friend of a friend film in NY and the alley parts were filmed in Lubbock TX alleys. I guess this makes sense now. My grandparents lived about 4 or 5km from Point Roberts and one of my earliest memories is going across the border to get gas and groceries with them, without a passport or letter from my parents, and having no problem at all getting across. Just a verbal confirmation and a have a nice day. Made popular by the ground-breaking variety show “Rowan and Martin’s Laugh-In” from “Beautiful Downtown Burbank”. In Kotor, Montenegro, there is a tradition very similar to Zozobra – traditional annual Carnival ends with the “Burning of the Carneval”, where a large effigy of a villain figure, representing (and blamed for) all the bad things that happened in the previous year, is burned on the waterfront. Earliest records of the Carneval date back to 1508.
mini stories are always my favorite. Great story about Point Roberts, Sharif! I lived in Tsawwassen when I was a kid in the 90s, and you’re absolutely right about the primary uses being package pickup and cheap gas. But other frequent usage included picking up cheap beer (or so my Dad tells me now), going out on friends’ boats (less expensive to dock in the states), and for the NHL Vancouver Canucks’ non-Canadian hockey players: maintaining a residence to avoid Canadian income tax. But it would be remiss of me to not point out that Tsawwassen is pronounced “Ta-wass-in”! I immediately thought of the alley where Bob Dylan’s “Subterranean Homesick Blues” was filmed. I had assumed it was filmed in NYC—maybe Allen Ginsburg dressed as a Hasidic Jew gave me that impression—but no! It was apparently filmed in London.